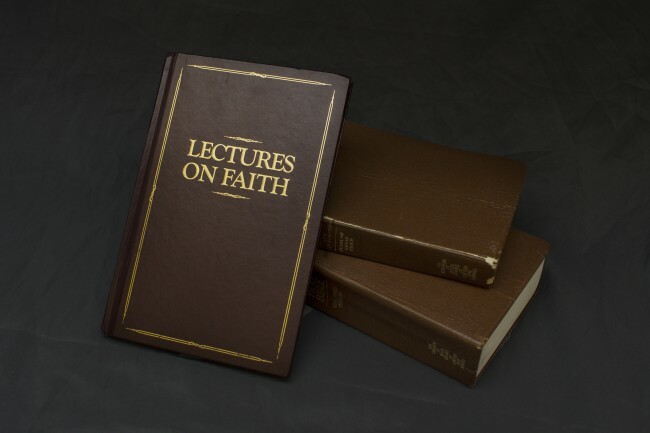 The Lectures on Faith is a fantastic addition to the doctrinal knowledge base of the Latter-day Saints. They were part of the Doctrine and Covenants for almost 100 years and were separated from the canon on the grounds that they were not specific revelations to the Church. It’s a complicated story that I’m going to have to address at another time. What I’m going to be presenting is from the Fifth Lecture that contains teachings about the Godhead that may at first seem foreign to our traditional views as we have come to understand them. When we are seeking to learn eternal truths through the insufficient languages of man, we can often encounter things that puzzle us. As inconvenient as this is, I believe that it plays an important role in our quest for truth. It causes us to question, to stretch our understanding and ponder deeply upon things. So let’s look into one of these teachings and see what profound truths that we can draw from it. “…for I spake unto him as a man speaketh; for I beheld that he was in the form of a man; yet nevertheless, I knew that it was the Spirit of the Lord; and he spake unto me as a man speaketh with another.” (1 Nephi 11:11). In the same way that the word “one” is not meant to be taken literally as a physical thing, I propose that the word “mind” is also not meant to be taken literally. In Philippians 2:5, Paul stated “Let this mind be in you, which was also in Christ Jesus:” How is it possible to have the same mind as Jesus? Paul wrote again in Romans 15:6 “That ye may with one mind and one mouth glorify God, even the Father of our Lord Jesus Christ.” It’s clear that these things are not meant to be taken as physical realities but are symbolic of a unified intent. Read carefully those words. Does it still seem out of character for the Holy Spirit to be referred to as “the mind” of the Father and the Son when he is also called “the truth of all things…that which knoweth all things, and hath all power…”? The Holy Spirit has an profoundly significant role, he is a member of the Godhead and is considered one with the Father and the Son, yet we know so little about him other than the effects that flow from his unique position. This is all how it should be though, Jesus himself said that “…when he, the Spirit of truth, is come, he will guide you into all truth: for he shall not speak of himself…” (John 16:13). His sole purpose is to bear witness of the Father and the Son and guide mankind to truth. This brings us to the real purpose of this article which is to identify the true gift of the Holy Ghost or the ultimate purpose of that gift. Most often when someone describes the gift of the Holy Ghost they will say something like “It’s the constant companionship of the Spirit”. Yet, the Spirit is not always constantly with us because our sins following baptism in due time will draw us away from his influence until we repent. We know that baptism is FOR the remission of sins which comes through the baptism of fire and the Holy Ghost. Remission of sins does not come by the water, “For by the water ye keep the commandment; by the Spirit ye are justified, and by the blood ye are sanctified;” (Moses 6:60). The Holy Spirit brings justification before God through the atonement of Christ until we are sanctified by the blood of Christ. So in what manner does the Spirit bring justification? Thus we see that becoming one with the Father and the Son requires receiving the same mind as the Father and Son which is accomplished by receiving the Holy Spirit. The mind is which you are changing is your own in exchange for God’s through the gift of the Holy Spirit. This is the main reason why baptism and confirmation are so essential. Anyone can be influenced of the Holy Spirit, even in powerful ways, but only through the priesthood and the ordinances of the gospel can you receive the gift that will allow you to receive the mind of the Father and Son and become one with them. It was necessary for Christ to pass through the veil so that we might be able to receive the Holy Spirit, the mind of the Father and the Son, so that we could be one with them. We can see how intimately connected the missions of both the Savior and the Holy Spirit are. There is quite a bit more research to do on this subject that I’ll have to save for a future time, but hopefully the information presented here will at least encourage you to ponder more on the mission of the Holy Spirit and the critical role he plays in helping you obtain eternal life through the mediation of Christ and the love of the Father. Think of the implications when it comes to understanding how to receive revelation. Joseph Smith taught that “no man can receive the Holy Ghost without receiving revelations.” (HC 6:58). What is revelation other than having the Holy Spirit unveil to us the mind of God line upon line? Think of the implications when it comes to repentance. If we view repentance as just trying to break habits or avoid certain behaviors, then our repentance is nothing but dead works. Actual repentance is receiving a change of mind through the gift of the Holy Spirit. We turn away from sin because we see the behaviors as God sees them, because we are incrementally obtaining his mind. In Alma 13:12 it speaks of priests who, “after being sanctified by the Holy Ghost, having their garments made white, being pure and spotless before God, could not look upon sin save it were with abhorrence.” Why is it that sin abhorred them? Because they were sanctified by the Holy Ghost or in other words, receiving the mind of God had sanctified them. The struggle with sin ends, when we truly see sin as God sees it and we agree with the perspective of God. No man in his right mind would (forgive the graphic nature of this comment) lick up his own vomit from off the ground. Yet this is exactly what we do when we return to sin. A dog returns to his vomit because he possesses the perspective of a dog and not man. Man returns to his sin because he possesses the perspective of man and not God. Being the father of 3 children I have seen my kids attempt to eat ancient gum, large beetles, the contents of their diapers, and a variety of other horrifying things. As they grow and are taught by their parents and, in a way, obtain their minds, they come to abhor what they once seemed to think brought satisfaction. Can there be any doubt that the reason for this dramatic change was due to receiving the mind of God which naturally, among other things, causes one to love more intensely? So how do we achieve this mighty change through the gift of the Holy Spirit and receive the mind of God? In an interview with the President of the United States, Martin Van Buren, Joseph Smith was asked “wherein we differed in our religion from the other religions of the day”. Joseph replied “that all other considerations were contained in the gift of the Holy Ghost” (Teachings of Presidents of the Church: Joseph Smith , 97). Is this understanding of the Holy Spirit new to you? If so, what implications does this mean for your life? 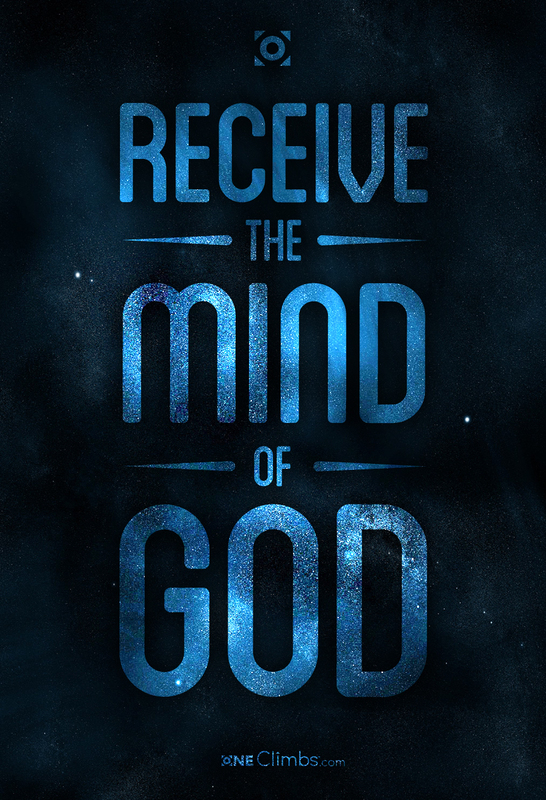 What are your thoughts on “the mind of God” as it relates to the Holy Spirit? What other insights do you have to share on the workings of the Spirit? Can you think of any other scriptures that can help shed light on this attribute of the Holy Spirit? I’ve tried to capture this thought for years and could never quite find it. Thanks, I’m glad you found something useful in the article! There’s just SO much good stuff out there, the article would be a mile long! Thanks for visiting the site and thanks for leaving a comment! I believe it was Wayne Dyer that spoke of achieving peace, and that we do so as our will aligns with that of our Creator. I loved this when I heard it, but this article really strikes a chord that resonates much deeper. It isn’t just aligning our will to do as God would do, but it is the much higher quest of thinking as He thinks, and the will follows, because our thoughts ultimately dictate all we do and all that comes to us. If we are to rule one day within our own realms we surely will need the mind to handle all that comes with that. This really is something I need to ponder on more, but it at first reading I really can say I appreciate this concept. Thanks for the post! Thinking as God thinks seems highly intimidating, but realizing the central and essential role the Holy Spirit plays makes sense. Dutiful obedience invites the Spirit which allows for enlightened obedience. The chapter in Elder Bednar’s book “Increase in Learning” that defines and explains knowledge, understanding and intelligence is especially appropriate for this topic. Why does LoF 5:2 state there are only two instead of three? What is a personage, as discussed in the verses that follow? Is there any other potential meaning for the name used in 1 Nephi 11:11? Is this a personage? Could “Spirit of the Lord” be interpreted literally? Who is the “Lord”? Which definition of the word “of” is used here? Could it be: “used to indicate possession, origin, or association, as in: ‘the house of my sister'”? Could “Holy Ghost” be used to mean something different than “Holy Spirit”? Did Alma have the same thing or two different things in mind in Alma 9:21? What about Moroni 6:9? Why did he use both terms? It is speaking of the Father and Son in their respective roles. Be careful not to jump the gun as many do and single out a just a part of lecture 5 without the context of the rest of the lecture. I believe that it is self-evident that D&C 130 is referring to exterior appearance while the Lectures on Faith are referring to Character assumed or represented. Especially since two whole lectures are focused on “Character” and “Attributes”. The lectures don’t even seem to reference exterior appearance which D&C 130 specifically addresses that issue from verse 1. The phrase “Holy Spirit” appears in the OT, NT and BofM. The phrase “Holy Ghost” appears only in the NT and BofM, never in the Old Testament. The phrase “Holy Ghost” is used far more than the phrase “Holy Spirit”. In the Book of Mormon, we have both phrases occur as well, but it does not appear that they are interchangeable like in the New Testament. With the 3rd member of the Godhead we know that he is an individual but that there are also characteristics that flow from him. You could refer to the individual as the Holy Ghost or Holy Spirit, but you can also refer to the effects of his influence as the Holy Ghost or Holy Spirit. In the Book of Mormon we see the phrase “power of the holy ghost” used 28 times, where we NEVER see the phrase “power of the holy SPIRIT” used. Whenever the Holy Spirit is being discussed it seems to almost always be referring to the influence of the Spirit. Likewise we have the phrase “receive the Holy Ghost” mentioned 4 times but we NEVER see the phrase “Receive the holy Spirit”. The phrase “the Spirit of the Lord” occurs 37 times in the Book of Mormon, so to have Nephi conversing with the Spirit of the Lord, I would assume that he is conversing with the Holy Ghost himself, that is the simplest explanation, although I would expect that some could disagree. In Alma 9:21 and Moroni 6:9. Reread them the the context of what I’ve just explained. The power of the Holy Ghost can do many things for many people whether they are believers or not. The “gift” of the Holy Ghost is justification (Moses 6:60), or in other words remission of sins through the atonement of Christ until one is sanctified and can only be received via covenant, i.e., baptism and confirmation. If I understand correctly then this information agrees with what I feel is correct to assume, namely that while the Holy Ghost is an individual, it is his influence that dwells within us rather than the individual known as the “Holy Ghost”. This would mean that only one person at a time could have the Holy Ghost with them, unless a spirit body has the capacity for infinite expansion and the ability to exist in the same time and space as another spirt by overlapping it somehow. Personally, I would not agree with that. I think these words from Joseph Smith are the most correct, in my view: “The Father has a body of flesh & bones as tangible as mans the Son also, but the Holy Ghost is a personage of spirit. — and a person cannot have the personage of the H G in his heart he may receive the gift of the holy Ghost. it may descend upon him but not to tarry with him (Joseph Smith diary as recorded by Willard Richards)”. I don’t think D&C 130 is wrong, I just don’t think it is as clear. I think the point being made is that because the Holy Ghost is a “personage of spirit” that he (or his influence, rather) can dwell within us. Somehow, a spirit body seems to have abilities that a physical (even glorified physical) body does not. This is kind of the whole point. While the Holy Ghost is an individual that theoretically can only exist in one place at one time, his “influence” is broadcast throughout creation. This influence allows for the communion of minds, communication and power, and perhaps many other things we only barely understand. Your view has been that of contemporary Mormonism for some time. (at least since 1856) The Harrell book does a good job of tracing the history of this view. It may be that only God himself is able to fully clarify the matter to a person, although Joseph and others who have “knowledge” of God have attempted to lay the matter out for those willing to be taught by the Spirit. I agree. I won’t argue over things I don’t fully understand or have not been revealed to me. I know the voice, the influence and the power of the Holy Ghost, beyond that, I don’t comprehend the totality of that member of the Godhead. Satan is disembodied and LIES. Thank you for your article. I have learned much today. Awesome, thanks for stopping by.